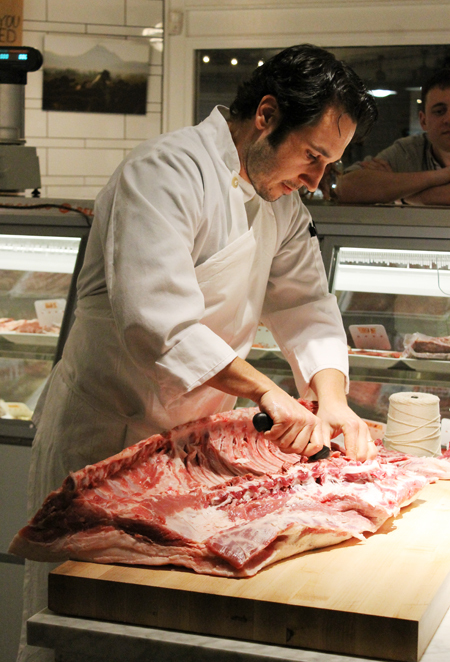 A butcher making porchetta at Belcampo Meat Co. in Larkspur. 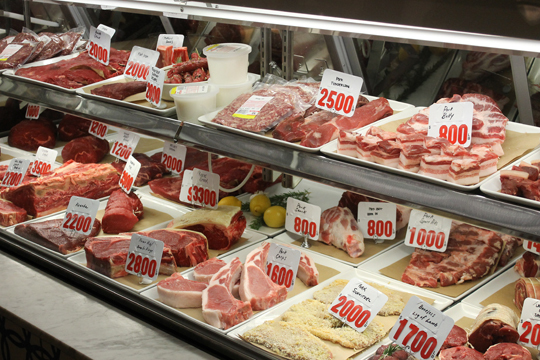 Belcampo Meat Co. in Larkspur may look like the latest trendy, farm-to-table butcher shop stocked with pedigreed meat for sale at sky-high prices. It’s part of a corporation that aims to start a new food revolution — by producing sustainable food on an unheard of scale. And at a profit, to boot. It is the brainchild of Todd Robinson, a Wall Street veteran with deep pockets; and Anya Fernald, a California-native and long-time locavore entrepreneur. She may look familiar from her previous appearances as a judge on “Iron Chef America” and as the founder of the Eat Real Festival in Oakland. The two founded Belcampo, Inc. in 2011, which consists of several operations spread across three countries. They include: a 10,000-acre certified organic, sustainable ranch at the base of Mt. Shasta in California, where cows, pigs, chickens, sheep, rabbits, goats, turkeys, geese and squabs are raised sustainably, organically and on pasture; another cattle ranch in Uruguay; and an eco-lodge and farm in Belize that produces coffee, chocolate and rum. Besides the butcher shop-cafe that opened in Larkspur late last year, two more butcher shops are expected to open in San Francisco and Los Angeles later this year. 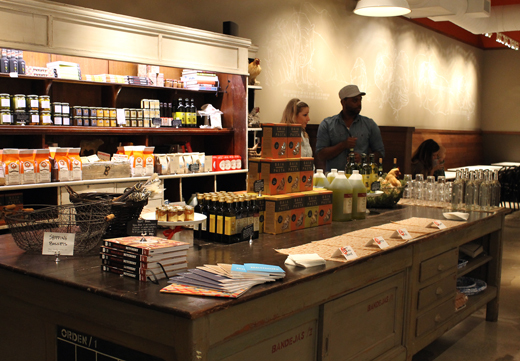 The back part of the store features chocolate, condiments and other gourmet fare for sale. What makes Belcampo so unique is that it owns every part of the production — from the ranches to the slaughterhouse to the retail stores that sell the meat. That means there are no middlemen to skim off potential profits, thereby enabling Belcampo to better monetize its products. Recently, the company started making some of its products available online, including duck confit (2 legs for $20) and a full rack of Wagyu beef ($2,000). A whole range of cuts is available at the Larkspur butcher shop, which also serves breakfast, lunch, dinner and weekend brunch. 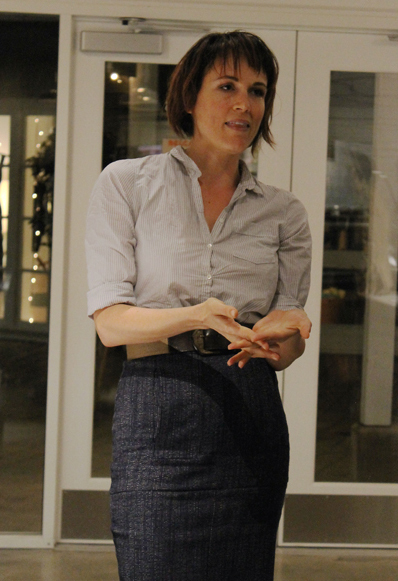 Earlier, this winter, I was invited to a special dinner there to celebrate the opening of the shop. 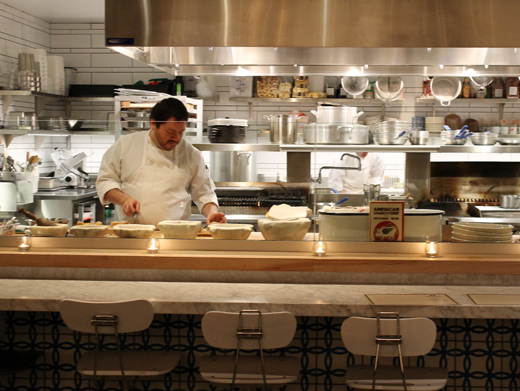 The family-style dinner showcased the primo meat that Belcampo sells. 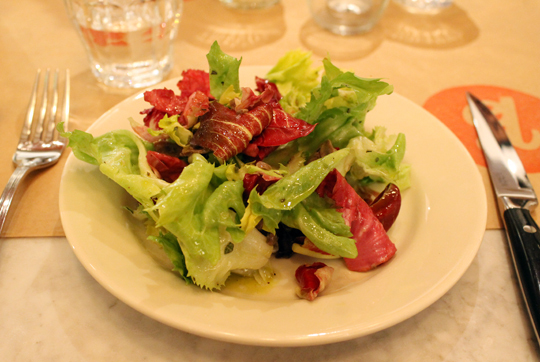 Dinner stared with a chicory salad with a surprise of sauteed chicken heart slivers strewn throughout. The minerality of the toothsome meat paired well with the pepperiness of the leaves. The combination was so ideal that more than one guest that night vowed they were going to start adding chicken heart to their salads at home. Chicory salad with chicken hearts. Fries cooked in beef fat. Next, the signature Belecampo cheeseburger (always on the menu at $11). 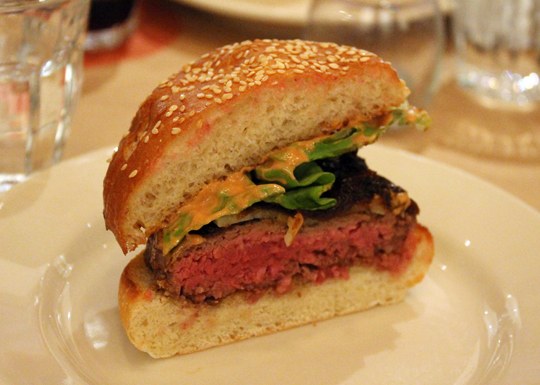 The pure, clean taste of the meat really shines through in the juicy, beefy patty. 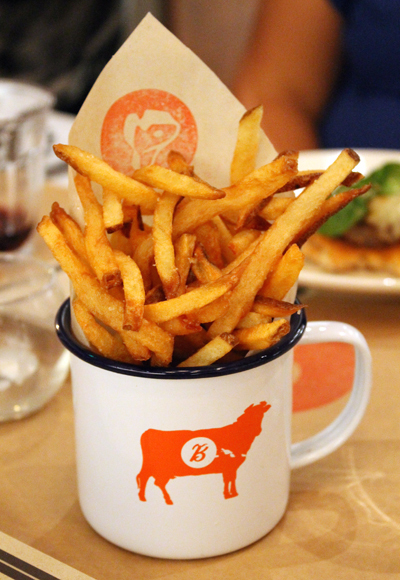 The fries are made all the tastier and crisper by being fried in beef tallow. 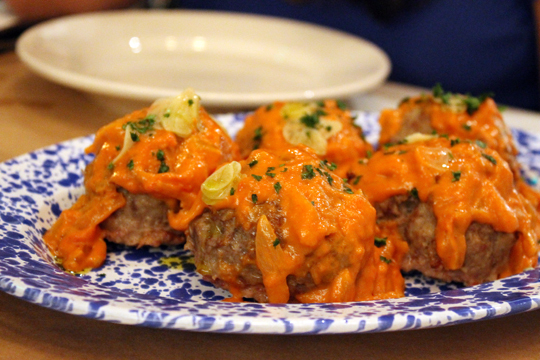 Big meatballs, fluffy and so Italian tasting, were napped with a creamy tomato sauce. 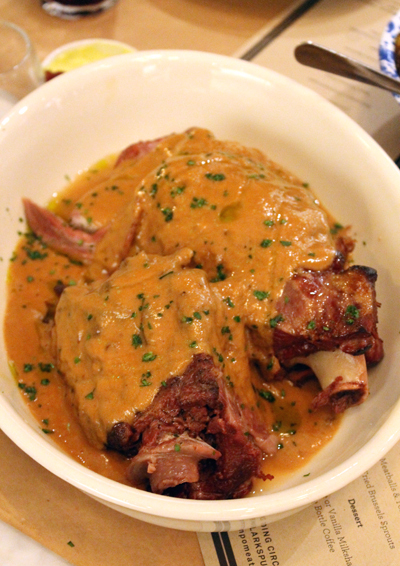 And milk-braised lamb shanks couldn’t have been more tender. To learn more about this pioneering company, read my story in last month’s issue of TreeFree magazine. Those fries look so crispy and good!